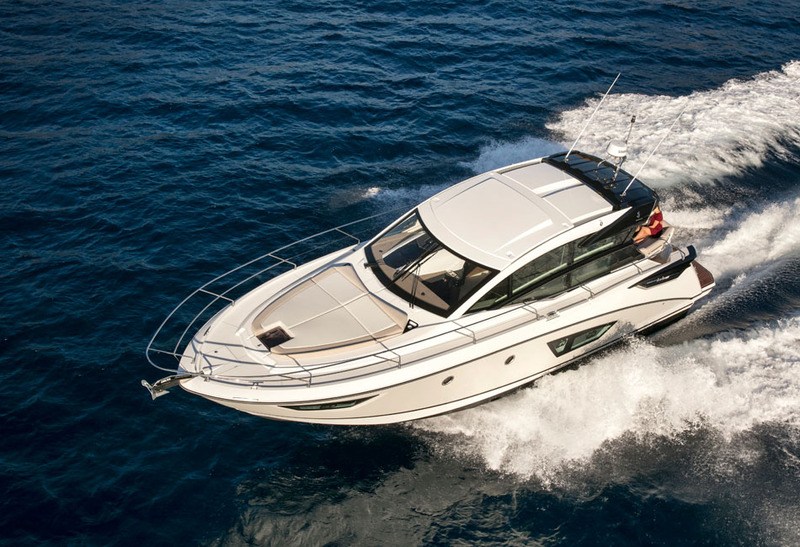 The delight of cruising at high speed combined with the ultimate in habitability is radiated by the Gran Turismo 50. 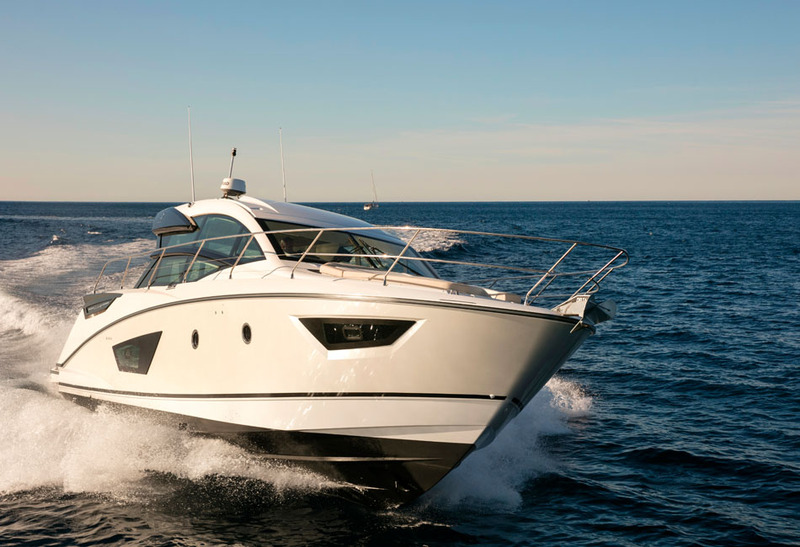 The flagship of a new generation, she is in a league all her own. 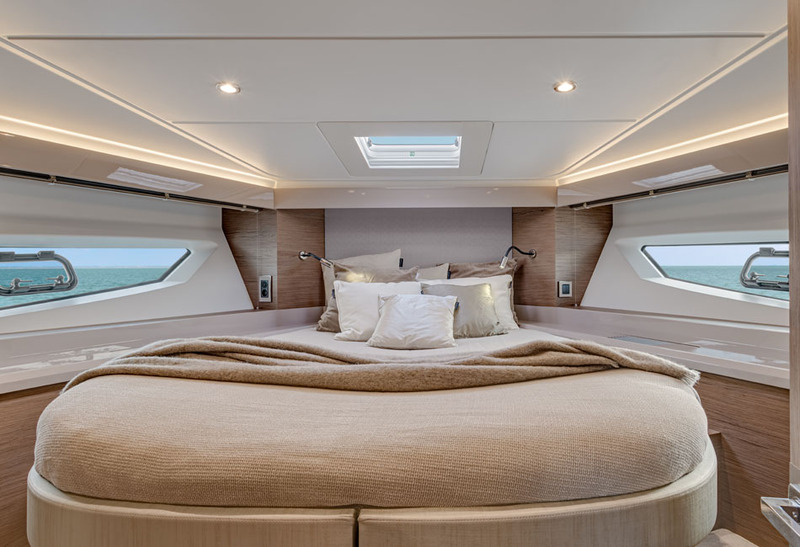 Classy profile, onboard technology, and a spacious main deck enables her to satisfy even the most demanding sailor. 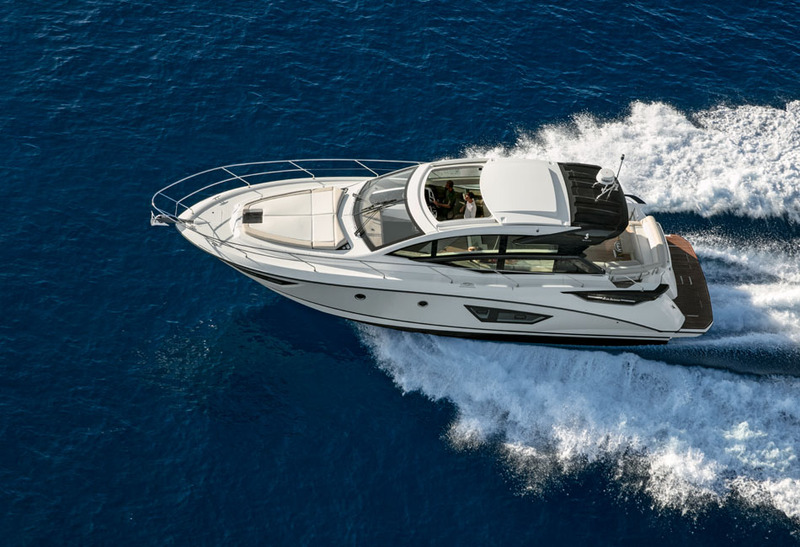 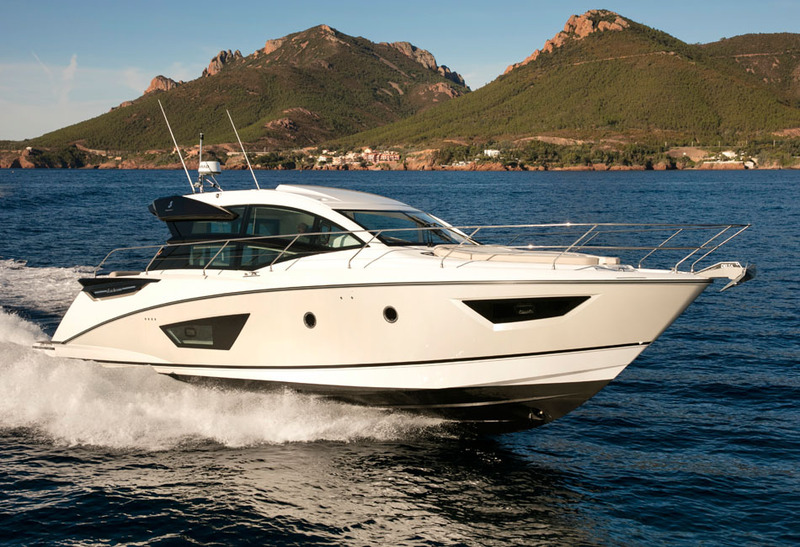 The Gran Turismo 50 has all the fittings of the ideal sport cruiser. 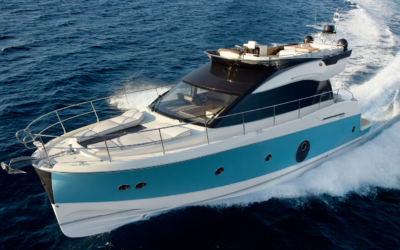 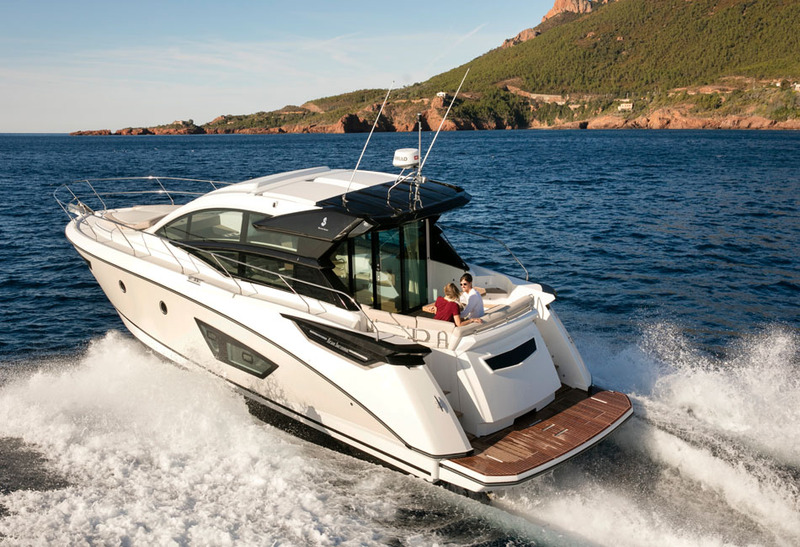 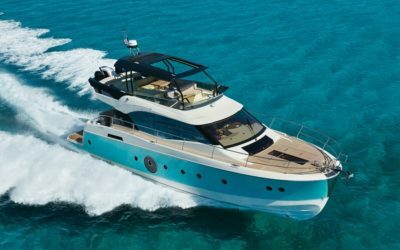 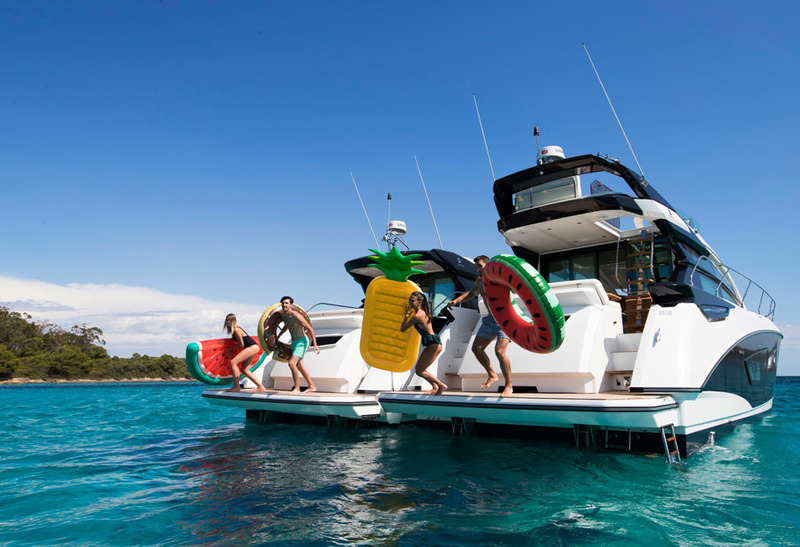 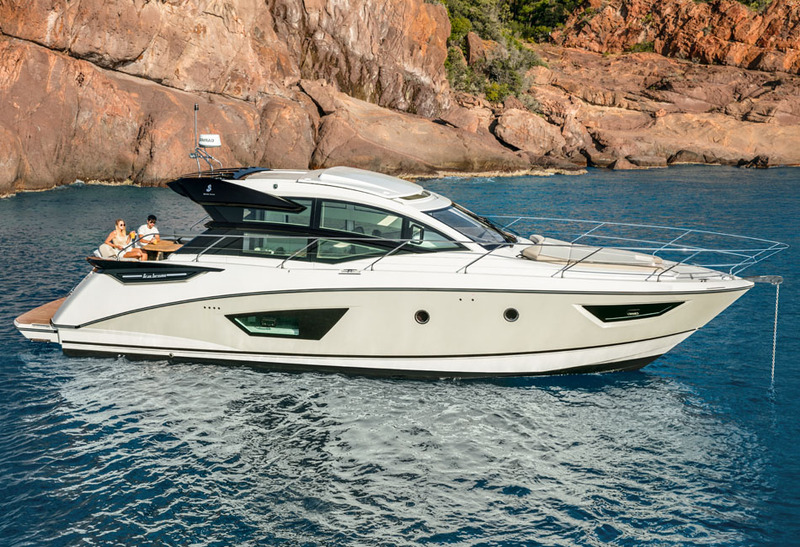 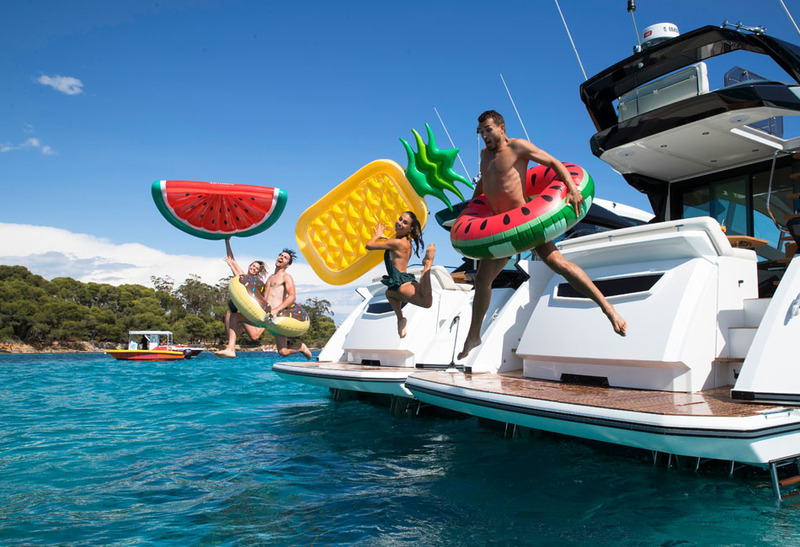 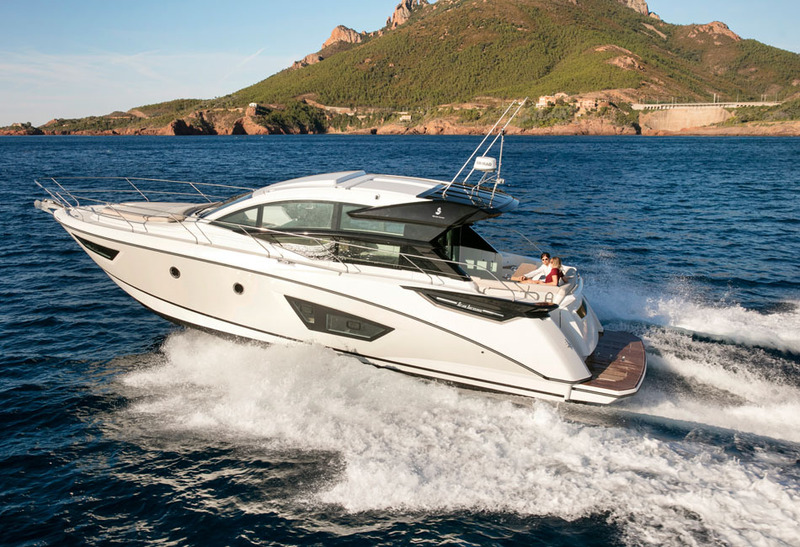 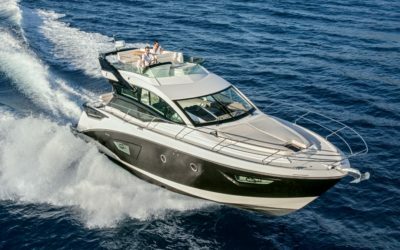 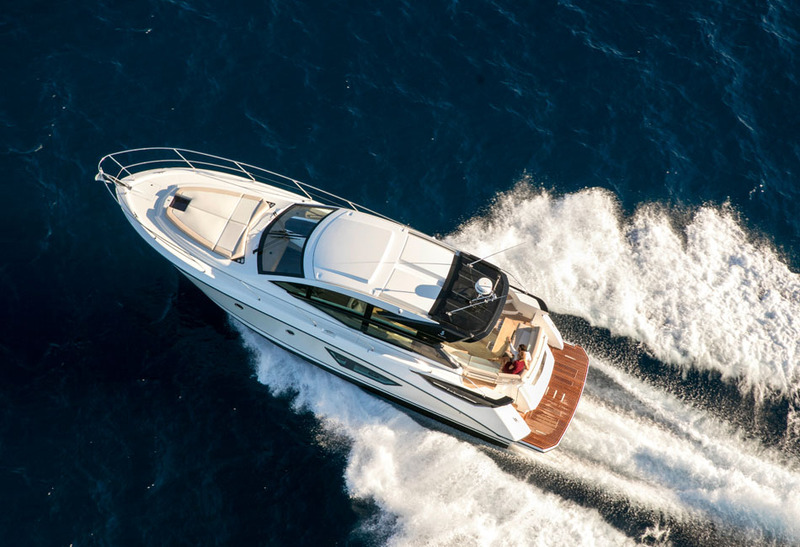 Equipped with an in-built retractable sun visor on the hardtop, modular side glazing, a planing hull, she’s powered by a Volvo IPS 600 engine. 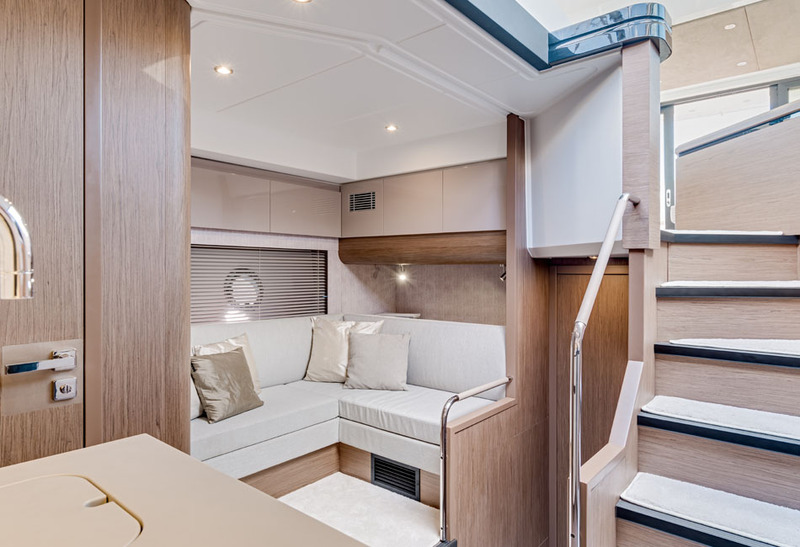 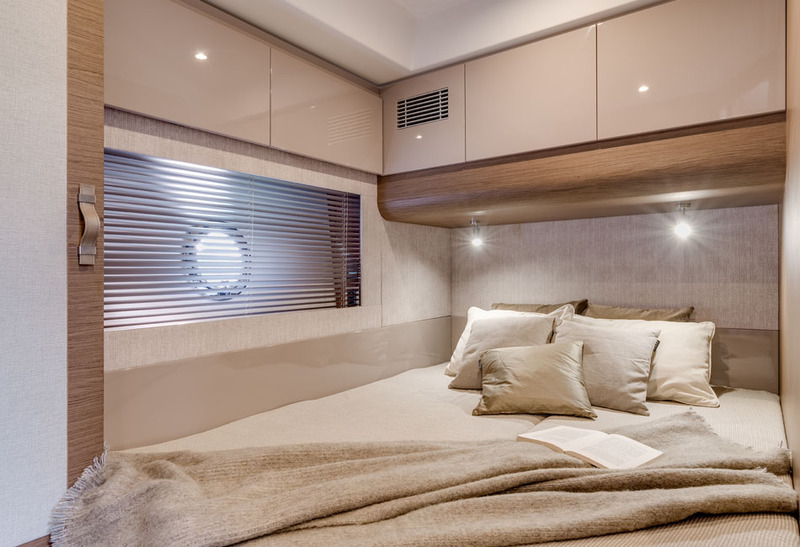 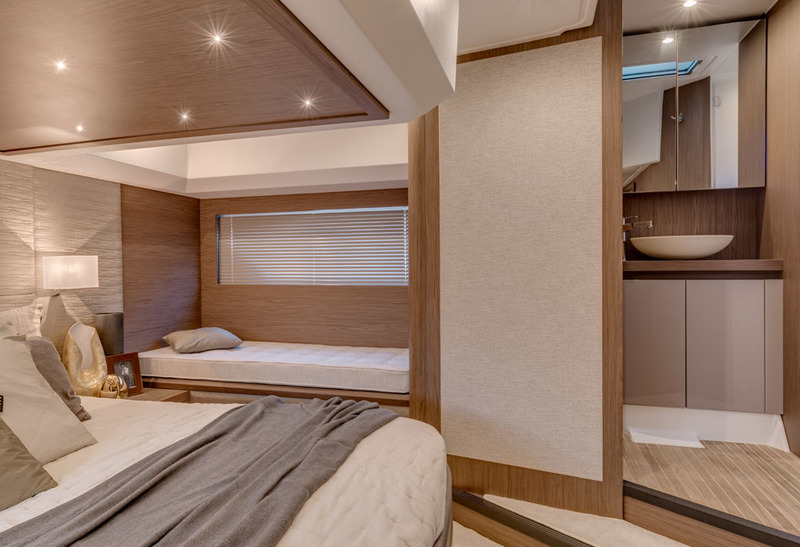 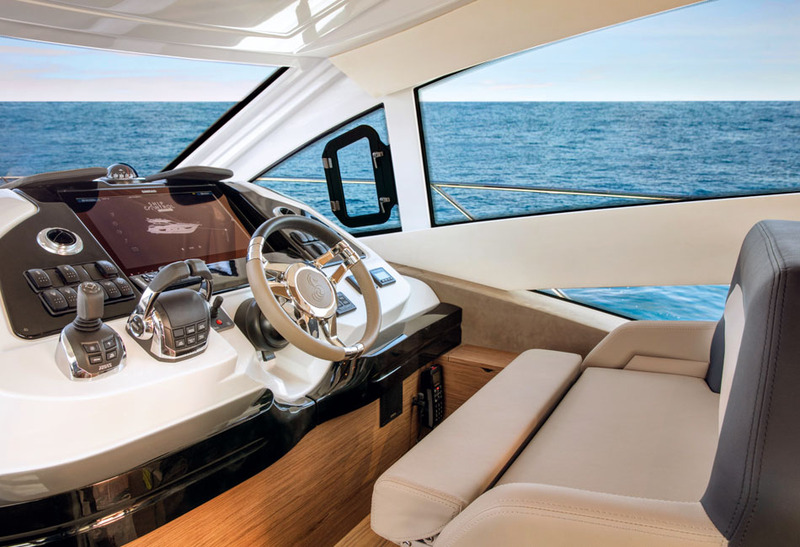 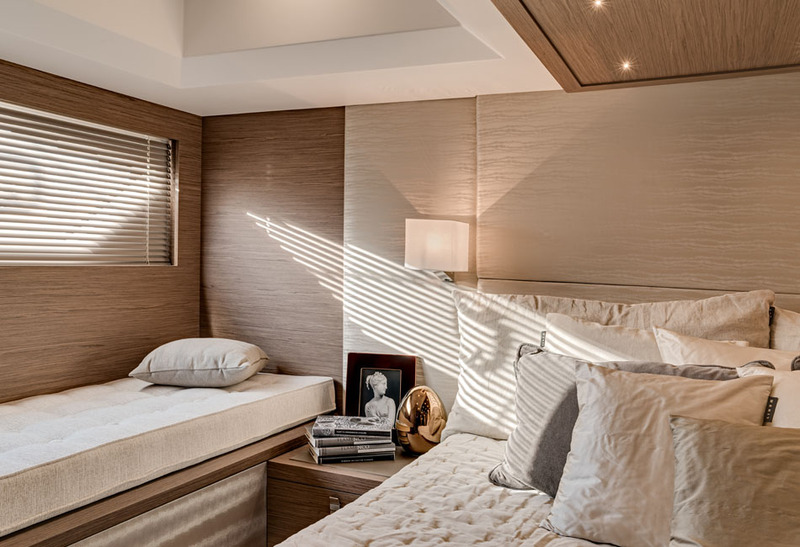 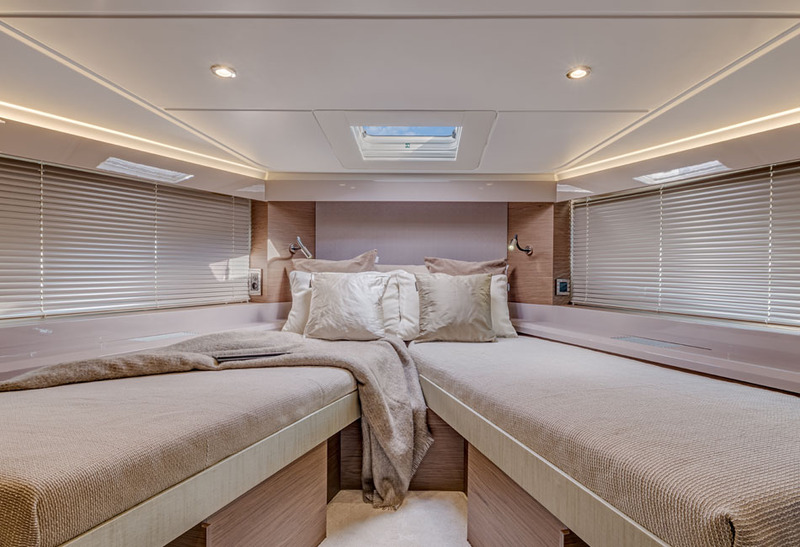 Refined and cozy interiors welcome visitors aboard the Gran Turismo 50. 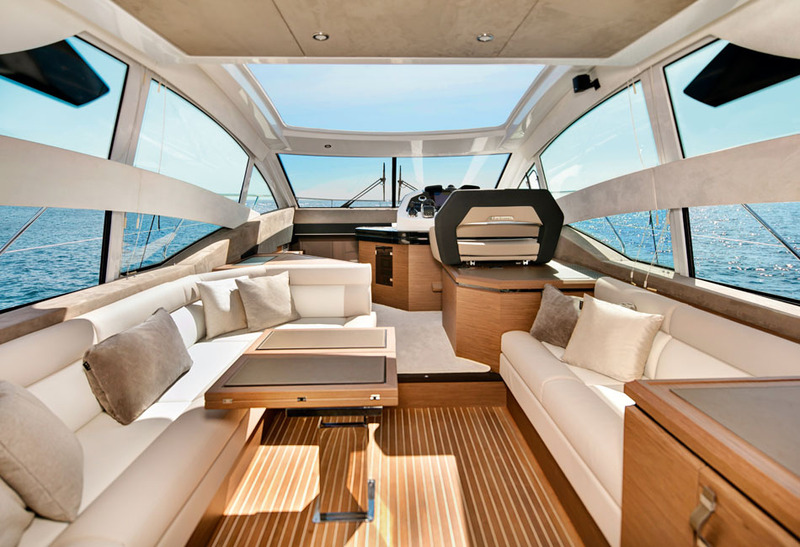 Large windows fill the lower deck with sunlight. 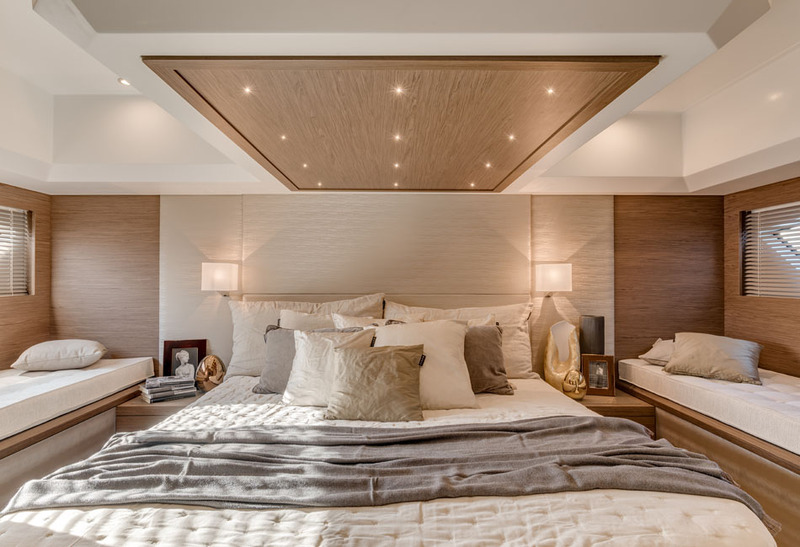 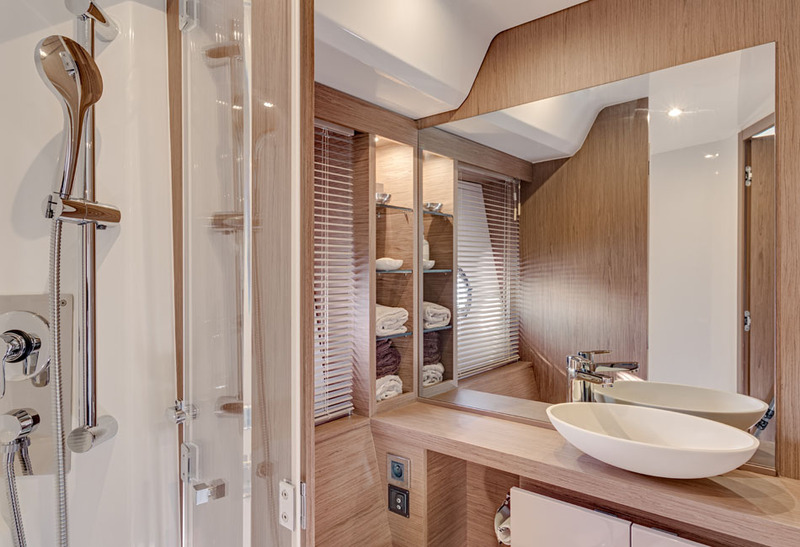 She comes in two versions, each with a full-beam owner suite and en-suite shower room.